The EMO Fair of Milan is a showcase for the latest development trends of the machine-tool industry, where once again this year, INTEGI will have the opportunity to show its knurling and rotation broaching tool novelties. The new head no. 1 will be presented within this latter range of products, known under the brand name of POLIPROFILE. 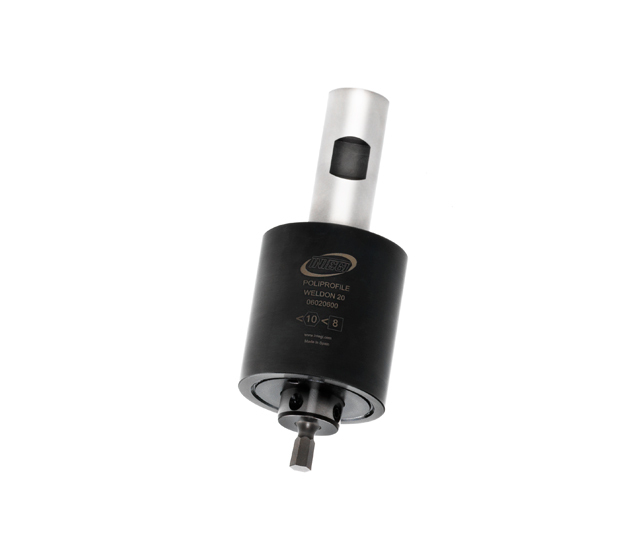 This head has been designed to carry out precise broaching in small-size Swiss-type lathes. - High manufacturing precision to ensure perfect operation in the most rigorous applications. With this launch, INTEGI extends its range of broaching heads, thus enabling it to respond to the majority of the needs that arise in the market with its line of heads.